We look forward to walking with you in 2019. 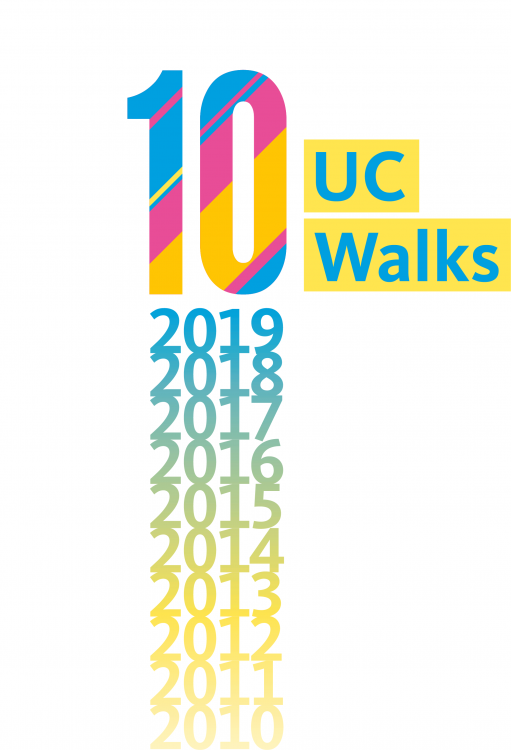 Our 10th Annual UC Walks Day event will take place on Wednesday, May 1st. Mark your calendars and check back as the date approaches! Events will be held at Parnassus, Mission Bay, Mount Zion, ZSFGH, VAMC, Mission Center Building, Laurel Heights, 8000 Marina Blvd and Fresno. Free t-shirts available while supplies last. UC Walks Day is an annual event in which thousands of University of California faculty, staff and trainees take time for wellness at the same time across the state. Learn more about UC Walks and view the 2018 slideshow at the UC Systemwide Wellbeing initiative website.